When it comes to genres in Korean dramas, interestingly enough, we rarely get pure comedies. Most of the time, its mixed in with other genres such as drama or romance. Because of this, and even if there was romance mixed into it, JTBC’s “Welcome to Waikiki” or “Laughter in Waikiki” is a rarity as it is the first comedic Korean drama that can be likened to a true Western sitcom such as “Seinfeld” and “Friends”, making it a must watch for Korean drama fans as long as you can take their brand of humor. Also, it must be noted that this is one of those Korean dramas in which I actually watched weekly from the very beginning, and din’t binge watch it or binge watch it to catch up to it before it finished. This is also one of those shows that is perfect for weekly watching as the humor might be a bit too much if you binge watch it in one go. “Waikiki” starred Kim Jung Hyun as Kang Dong Gu, an aspiring film director who has become cynical and who is the CEO of Waikiki Guesthouse; Lee Yi Kyung as Lee Jun Ki, an aspiring actor who refuses to bank on his A-list actor father’s name to make it in the business; Son Seung Won Bong Du ik, an aspiring writer stuck doing freelance work; Jung In Sun as Han Yoo Na, a single mother; Ko Won Hee as Kang Seo Jin, Dong Gu’s younger sister and an aspiring journalist; and Lee Joo Woo as Min Soo Ah, Dong Gu’s ex-girlfriend who is also a model. The whole plot of “Waikiki” is kicked off after Dong Gu, Jun Ki and Du Shik discover a baby, Sol, in one of the rooms of their guesthouse. After discovering and learning of the plight of Sol’s mother, Yoo Na, they decide to let her stay with them and let her work for the guesthouse as well. The rest of the series sees the six main characters interact with each other, as they navigate life, love, and their dreams, through all the mostly embarrassing, unfortunate and painfully relatable situations they go through everyday. As I mentioned earlier, this is the closest that a Korean drama has come towards being a true sitcom. Each episode was broken down into two parts, both of which furthers the relationships or the character arcs of each character. There also is no main defining plot, but it does follow the characters as they develop in their relationships with each other and with their individual love interests as well. The comedy here is just gold, with the script being smart and witty while throwing punch after punch; and as the entire cast excels at navigating all of the most unfortunate and embarrassing situations in a funny but relatable way. The comedy never gets old; and there is a ton of celebrity cameos whose comedic chops are truly put to the test here, and some even look like they actually did crack up while filming it. I actually found myself laughing out loud and cringing during the gross humor moments, every single time. Another great thing that the writers were also able to do due to the fact that this is a comedy is that they were able to talk about different relevant topics without it being too heavy handed. These ranged from topics such as how women are treated in the workforce and single motherhood; to being a satire on the entertainment industry as a whole, especially as Du Sik, Jun Ki, Dong Gu, even Seo Jin later on, and Soo Ah, have professions that are somehow related to it. However, despite all of that, and even it did dip in quality for an episode or two due to the extension, the writers never forgot the core of the show and continued to develop the characters all the way until the end. To be honest, I wouldn’t mind a second season, just as long as there is continuity and that the comedy remains as fresh as always. (Plus, I would love it if they released bonus material of the dramas shown within this drama as they looked utterly ridiculous and amazing). The entire cast, from the main cast, to the recurring characters, to the celebrity cameo appearances, were just phenomenal. However, special shout out does go to the baby or babies that played Sol, as they were such good actresses and gave facial expressions that were always on point. One thing to note however is that this brand of comedy, especially their use of gross humor might not be everyone’s cup of tea, but I can assure you that they never use it too gratuitously, and it always served a purpose. “Waikiki” is definitely a gem of a Korean drama as it not only is the first true Korean sitcom, but it also talks about relevant and timely topics, while never losing sight of the character development and the relationships of the main characters of the show. Oh, and also for that adorable baby. However, I suggest, even if it is finished now, to watch it weekly, and not to binge watch it like most dramas. Now, you know the drill! From here on out, there will be spoilers! It was interesting that “Waikiki” gained as much popularity as it did, and even the cast and crew were amazed at the warm reception that they had, so much so that the show was extended by two episodes. I think that aside from being quite different from most Korean drama comedies, it is because that the main characters were highly relatable, and as most people can identify, have gone through the same problems they faced, and because they have also experienced the same unfortunate circumstances that they went through in one way or another, from being utterly clumsy, to having emergency bathroom situations. Aside from the mundane, everyday embarrassing situations that happen to the main characters, many will also be able to identify with specific ones. For example, artists know how it feels like to work freelance or not be recognized for their talents while building up their name, or being forced to do something that you don’t necessarily want to do because it is a good opportunity, or doing things that might look ridiculous to others for the sake of art. Good examples of this are Du Sik considering writing for that adult entertainment company and manipulating views on his web novel; Jun Ki having to wax his entire body, wear ridiculous costumes, and be partnered with eccentric acting partners; and Dong Gu having to hit himself to make a baby laugh when he was taking videos of baby birthdays or trying to find a loaf of bread large enough to fit an air rifle. However, aside from all of that, the comedy never took away from developing each of the six characters and their relationships with each other as friends, and with each other’s respective love interests. I also liked the way that they explored each romantic relationship as well. We see Jun Ki grow into a rising star with a good relationship with Seo Jin despite all the difficulties; Dong Gu finally reached his dream of becoming a director, but grew more as a person thanks to Yoon Ah and Sol; Yoon Ah being able to realize her own dreams and to move on from being scared of being hurt again, but standing her ground when she needs to; Seo Jin having a job and discovering what’s important to her; Du Sik learning how to stand up for himself when need be and hopefully learning more about love instead of falling in love every five seconds; and Soo Ah opening up and becoming determined to pursue her own passions and starting a new career after she got conned. It is also amazing how these six characters complimented each other as well and how each couple also complimented each other well. Dong Gu protects and cares for Yoon Ah, while Yoon Ah is the only one who can get the gruff Dong Gu be a marshmallow; Seo Jin can handle the crazy antics of Jun Ki, while Jun Ki goes out of his way to help her and to always make her laugh; and Soo Ah’s protective mama bear side comes out with Du Sik, while Du Sik is actually able to keep her in place even though he gets bossed around by her. I have no complaints whatsoever about the acting, from the main leads and the baby, all the way to all the recurring characters and cameo appearances. In fact, I am pretty sure that these six do have a very bright future ahead of them, and that I will watch their future projects when they come. 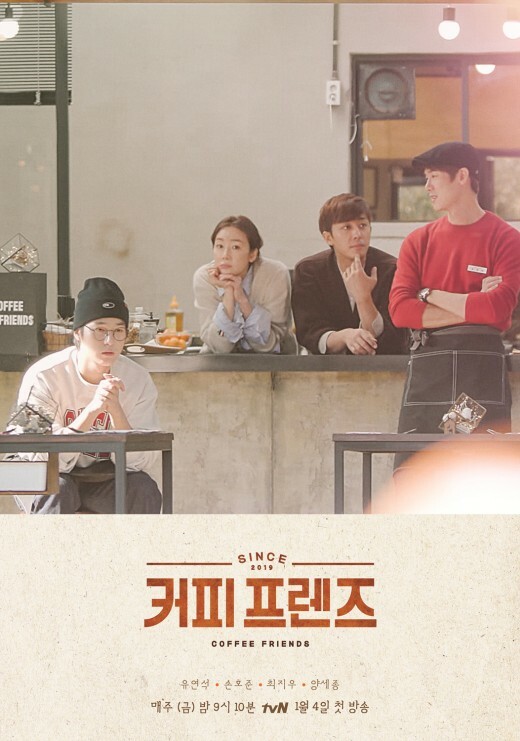 The entire show was rife with golden moments from Jun Ki’s physical comedic moments, Dong Gu’s and Yoon Ah’s fake marriage, Yoon Ah’s penchant for playing hide and seek while drunk, Seo Jin’s mustache woes, Rebecca, Olivia, Dong Gu’s rivalry with Yoon Ah’s mentor for her affections, Du Sik actually cleaning up well and looking good for that photo shoot, Yoon Ah rapping, all the way to Soo Ah’s confession to Du Sik under the influence of anesthesia before an endoscopy which I think is a first for Korean dramas. However, aside from this, because it was a comedy, they were also able to tackle a lot of interesting and relevant topics. They talked about the unfair treatment of the hiring process when it comes to women, the plight of the aspiring artist, the hardships of single motherhood, the plight of actors with or without an agency backing them, stalking, fan culture, fashion, and plagiarism. They were also able to poke fun at the entertainment industry through all the dramas and potential movies that existed in their world, each of which many fans of the show would love to actually see. I mean, that one drama wherein one man’s wife and daughter in law were actually his daughters and he was actually an alien is just ridiculously fantastic; the boys’ upcoming movie sounds hilarious; and the movie that Dong Gu worked on in Dubai looks like it would be ridiculously fantastic as well. I’m glad that the show ended on a high and positive note, and although the two main couples were clearly defined, I liked how they gave them that opening to explore a relationship with each other, which I think that they are doing. The writing for the entire show was smart, snappy, witty and fresh and only dipped in quality for just an episode or two, due to the extension. I am very much open to the idea of a second season, but I am afraid that just like those two episodes, it might end up dipping in quality in terms of writing. However, if they can keep it up, then by all means, let’s see this happen, as long as there is continuity, and as long as they don’t lose what made “Waikiki” so amazing and refreshing. I also wouldn’t mind if the second season starts right where they left off or they could also do a time skip of several years so that they could add a little bit more of Sol into the mix. Taking care of a baby is one thing, but taking care of a toddler is another, and would definitely make things different for them. In the end, “Waikiki” was a wonderful gem of a drama full of great comedic moments, acting and writing. It was different from the norm and refreshing, yet it never lost sight of what it was at its core, which all attributed to its surprising popularity. Have you seen “Waikiki”? What did you think about it? Let me know in the comments below! Wow what a detailed review!!! Agree with EVERYTHING you said and tbh the main reason I was sad it ended was because of JOON KI haha. And of course our baby SOL. Thanks for the kind words! 😀 Joon Ki and Sol were the best!